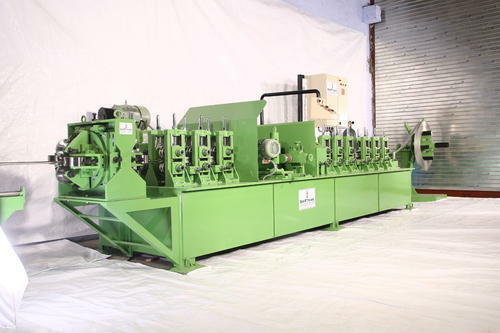 We are the manufacturer and Leading supplier of Stainless Steel Pipe Making Machine. This Product is use for stainless steel furniture, Submersible and other industries. Incorporated in the year 2009, we Sarthak Industries are prominent manufacturer and wholesaler of a high-performance array of Tube And Pipe Mill Machine, Turk Head Assembly, Tube And Pipe Polishing Machine, Tube Straightening Machine. Uncoiler Machine, etc. Located at Ahmedabad (Gujarat, India), we are supported by the robust infrastructural base. Our infrastructural base comprises various functional units like procurement, manufacturing, quality testing, research & development, sales & marketing and warehousing & packaging. All units are armed with requisite amenities in order meet bulk orders of clients. Our team of dexterous professionals supervises the activities of all units. Moreover, we also conduct crucial training sessions and seminars for our team of professionals in order to keep them abreast with latest technological advancement.